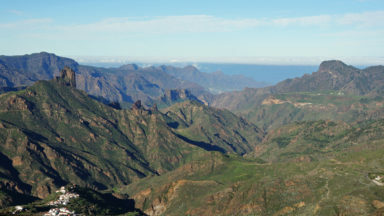 Walking on Gran Canaria describes 45 day walks in eight areas of the island. 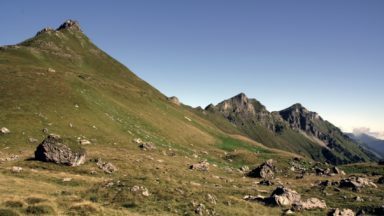 A long-distance coast-to-coast route on the GR131 is included, and shorter walks can be linked to form longer itineraries. Gran Canaria, one of the larger Canary Islands is a hugely popular spot for tourists, but offers many peaceful, rural areas perfect for walking. High summer is popular, but too hot for walking. Good winter walking is possible, with only a very rare chance of snow on high mountains. Spring is ideal and autumn is tolerable. Most people stay in the city or resorts - Las Palmas, Maspalomas and Playa del Inglés - but there are quieter alternatives. Routes vary from short and easy to long and arduous. Many paths are rough and stony, so good footwear is required. The highest mountains are sometimes covered by low cloud, but sun protection will be needed more than waterproofs. Plenty of water should be carried in some arid places. Rugged, well-settled uplands dominated by towers of rock - Roque Nublo and Roque Bentayga. Long-distance coast to coast route. 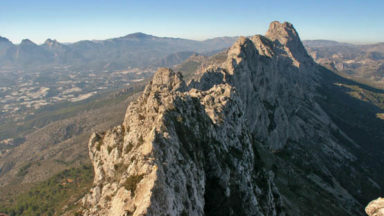 Deep and rugged barrancos. Scenery from mountains to extensive pine and laurisilva forests, with semi-desert and amazing cliff coastlines. Peaceful and charming rural locations, despite being in one of the world's most popular holiday spots. Gran Canaria may be primarily known as holiday destination for its sun-kissed beaches, but beyond the resorts, the island offers many peaceful and charming country and hill opportunities for walkers. The central area is protected as a Parque Natural, with lush green terraces climbing up to the rocky towers of Roque Nublo and Roque Bentayga. The walks also explore deep barrancos, extensive pine and laurisilva forests and the islands towns. 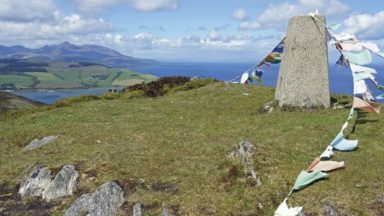 There are walks suitable for those of all abilities, ranging in landscape from coastal clifftops to the dramatic volcanic mountains inland. Walks venture through villages and towns, and up to the summits of the highest peaks on Gran Canaria. Also included in the book is a five-day coast-to-coast route on the GR 131. 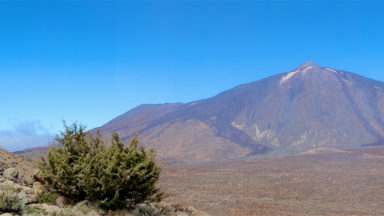 The GR 131 is an island-hopping long-distance trail stretching across all seven of the Canary Islands. The guidebook not only provides detailed route descriptions, but practical information on how to make the most of your trip to Gran Canaria. Transport, accommodation, language, food, currency are all covered, along with geological, historical and cultural information on the many sights along the way. The Instituto Geográfico Nacional (IGN), www.cnig.es, publishes maps of the Canary Islands at scales of 1:50,000 and 1:25,000. These are part of the Mapa Topográfico Nacional (MTN) series. To avoid disappointment, please check the style and quality of these maps before making a purchase, since they generally don’t show the sort of details that walkers require. On Gran Canaria, the best general map of the whole island is the 1:50,000 Kompass map of Gran Canaria, available in the United Kingdom with an Automobile Association cover, as the AA Island Series 7 – Gran Canaria. The evolving trail network does not yet feature on maps, although routes are often outlined on map boards around the island, from which details can be copied and transferred to other maps. Some of the municipalities have produced leaflet maps covering some trails, notably around Valsendero and Valsequillo, and it is worth enquiring locally for these. Maps can be ordered in advance from British suppliers such as: Stanfords (12–14 Long Acre, London, WC2E 9BR, tel 0207 8361321, www.stanfords.co.uk), The Map Shop (15 High Street, Upton-upon-Severn, WR8 0HJ, tel 01684 593146, www.themapshop.co.uk) or Cordee (tel 01455 611185, www.cordee.co.uk). The sketch maps in this guidebook are at a scale of 1:50,000 and all maps are aligned with north at the top of the page. Walk 43 - The restaurant at Llanos del Garañón is only for residents of the cabins and campground. Introduction - Waymarking and Access - pages 31-32 - Signposts that were erected in recent years bearing the letters 'PR GC' (Pequeno Recorido Gran Canaria) followed by a number, are currently being replaced by signposts bearing the letter 'S' (Sendero) and a number. The numbers don't always correspond, and at the moment both types of signposts might be spotted. Use the route descriptions as before, and regardless of the numbering system, take note of the destinations written on the signposts. One thing worth bearing in mind around San Bartolomé is that the town is often referred to as 'Tunte' on signposts. Walks 41-45 - GR 131 - Despite the installation of new signposting around the island, there is still no specific signposting for the long-distance GR 131. The trail has been completed across all the other Canary Islands, leaving Gran Canaria as the odd one out. In order of appearance, some of the new signposts that have appeared along this trail include the S 90, S 85, S 50 and S 57. Walk 44 - The descent from Degollada de la Manzanilla to Las Tederas has been closed. However, walkers heading in that direction will come across a signpost for the S 57 for Ayagaures. Don't be put off by a later ascent, or the rugged slopes the route crosses, as the scenery is much better than what used to feature along the dirt road from Las Tederas to Ayagaures. The newly signposted path reaches the two reservoirs further down the valley, then follows the road to Ayagaures. I used your book in Gran Canaria recently. We based ourselves in a small beautiful village called Tejeda. We walked and used your guidebook every day. I found it to be fantastic; it was very accurate and easy to understand. There was also a lot of variety in the walking. 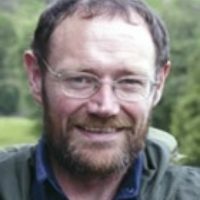 I do a lot of hiking abroad and rely on the Cicerone guides whenever they are available. I found this one very useful as the local maps were not accurate enough at times. What is a GR route?